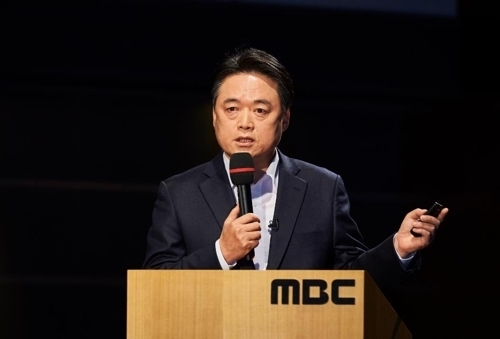 SEOUL, Dec. 7 (Yonhap) -- Choi Seung-ho, a veteran current affairs TV producer at independent news outlet Newstapa, was nominated on Thursday to be the president of public broadcaster MBC TV. Choi, 56, was backed by a majority of registered board members of the Foundation for Broadcast Culture (FBC), the largest shareholder of MBC, who interviewed Choi and two other candidates. His nomination follows a monthslong internal struggle at the broadcaster, with unionized workers calling for the removal of MBC President Kim Jang-kyom and the restoration of independent, fair reporting. Kim, who had served as president since February, was removed from his post last month. The veteran producer began his career at MBC in 1986 and has worked on a number of high-profile investigative reports, including an explosive story in 2005 that shed light on the fraudulent research by cloning expert Hwang Woo-suk, who was regarded as a national hero then. He was later fired by the company in 2012 for participating in a walkout lasting several months over editorial independence and has since worked at independent news outlet Newstapa. Choi will serve as president until 2020, when Kim's term was supposed to expire.